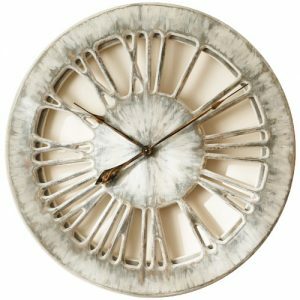 I am very proud when I get great feedback praising our decorative clocks. This is because I design and make them. Many people are worried however, that the clock will overwhelm the room. Why are they so sceptical about it? I think the main reason is the fashion. It promotes large paintings or mirrors to fill that big empty space on your wall. I started my own business as an artist in 2014 with a very ambitious goal in mind. 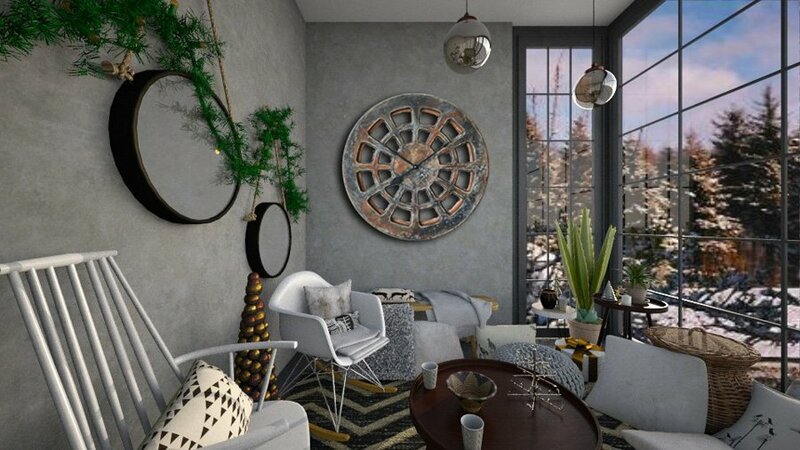 I wanted to replace the large mirror in every living room in UK with an oversized decorative clock. Obviously, I can never replace it literally everywhere but “think big” is the way forward. I am not an interior designer but just a normal girl that came to UK from Poland in 2003. My passion is to influence trends in interior design across the country and abroad by making something that is truly unique and special. 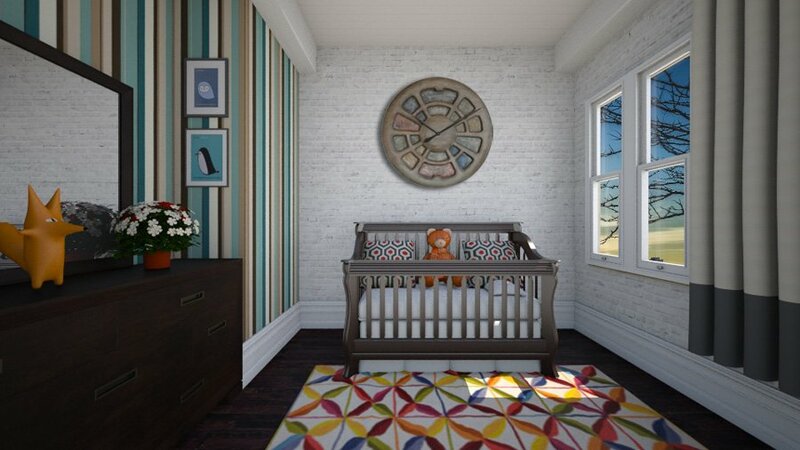 …….And to answer the question at the top – That bedroom wall clock isn’t overwhelming this child’s room, is it….. ? 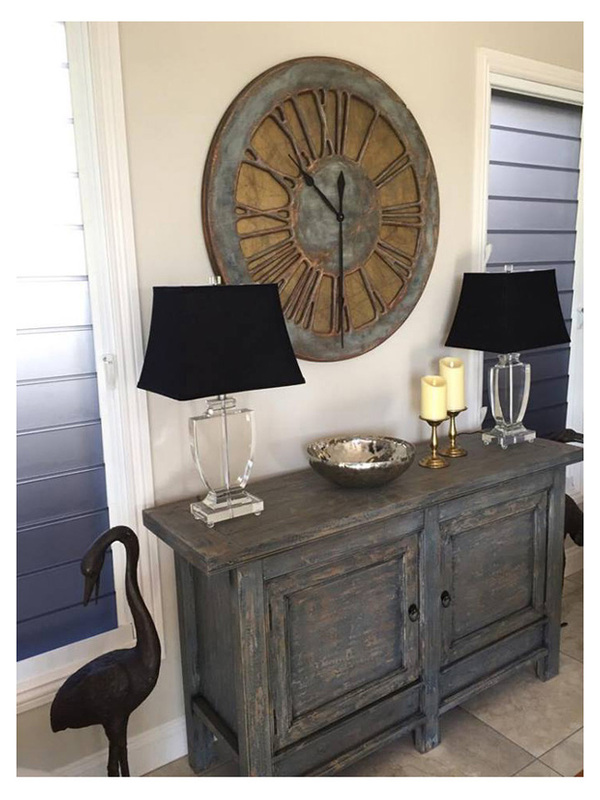 Many of us don’t consider the large decorative clocks as an alternative way to fill that big empty wall space. We often follow old trends as if there was no way to change this? When we think about the clock we immediately associate its function in our life with something that provides the time. 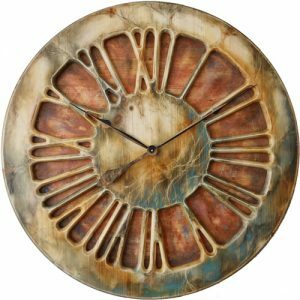 If you look at one of our most stunning decorative timepieces with beautifully hand carved Roman Numerals and golden background, perhaps you may change your mind? It does tell you the time, of course it does, but it also gives you so much more than that. 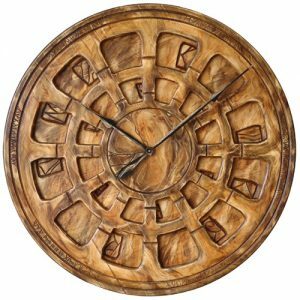 This large wall clock for living room provides a very strong “wow” factor and definitely looks much more attractive than a large mirror that would normally be there? Would you not want to stand out from the crowd and discover new ways to decorate your interiors with the most stunning statement art? 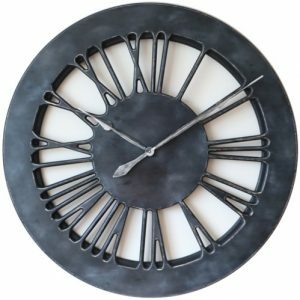 Most of our customers are looking for Roman Numeral designs when it comes to the clock face but by no means this is the only option we can provide. We have learnt that when it comes to large artistic wall clocks the shape isn’t the most important factor. Some of our customers like designs that are very unique or unusual like the one below. 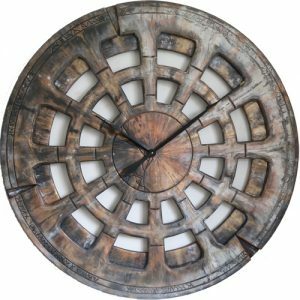 This wonderful and unique decorative clock is 75 cm (30″) diameter which is a bit less than our typical 100 cm (40″) timepiece and we can also make it larger up to 120 cm (48″) if required. Whichever size you select on the product page you can rest assured that you will receive bespoke handmade item that will add so much character to your place.